Since many people are tired of using square and rectangle to shape up their swimming pool appearance, last time we have recommended our blue fish scale mosaic tile for pool design at the post of “Blue Fish Scale Tile For Unusual Pool Design With Personality”. 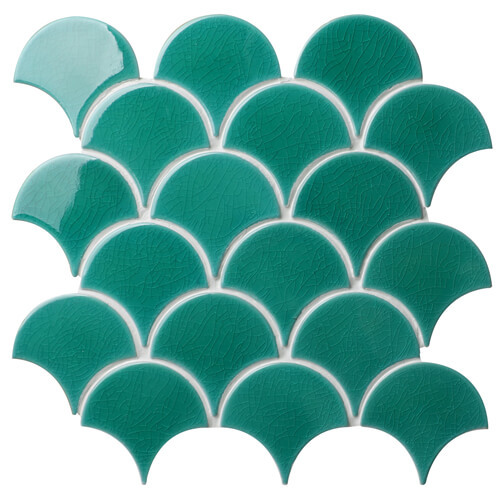 And today we will introduce you another fish scale tile in special turquoise green color, which can create a different pool style from blue. Read on and explore more details about the products. When cracked texture meets fish scale shape, unquestionably, the product is manufactured to be eye-catching and unique. Actually the green is not pure green, it is a shade of blue that lies on the scale between blue and green, it has the features of the both colors, such as the calmness of blue and growth of green. The single crackle grain on each tile sheet is unalike, and the glossy surface is easy to clean and will be perfectly reflective to light and sun. The mesh back design helps your installation easier and save more your energy and time. Look at the swimming pool above, the turquoise green tile colors the pool aquamarine and add the color of ocean to it. 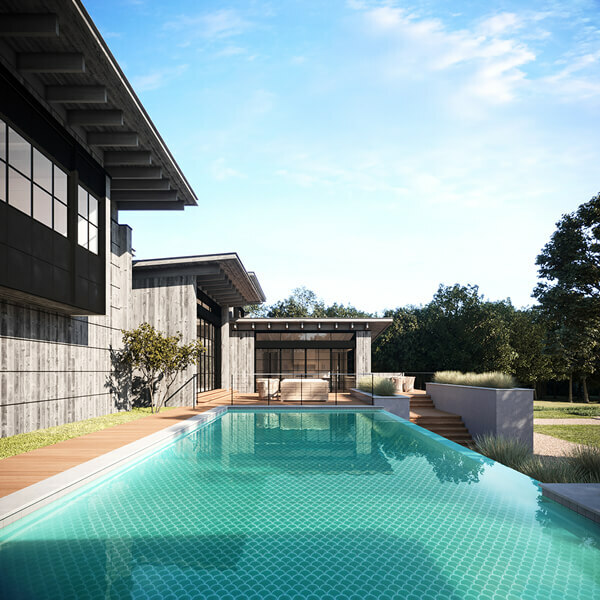 The swimming pool is connected with calmeness, serenity and also uplifting feel. As we all know, fish scale tile is seldom used in swim pool, and one of the most common places to find them is backsplash. The product is an ideal choice for installing a featured wall with antique look. 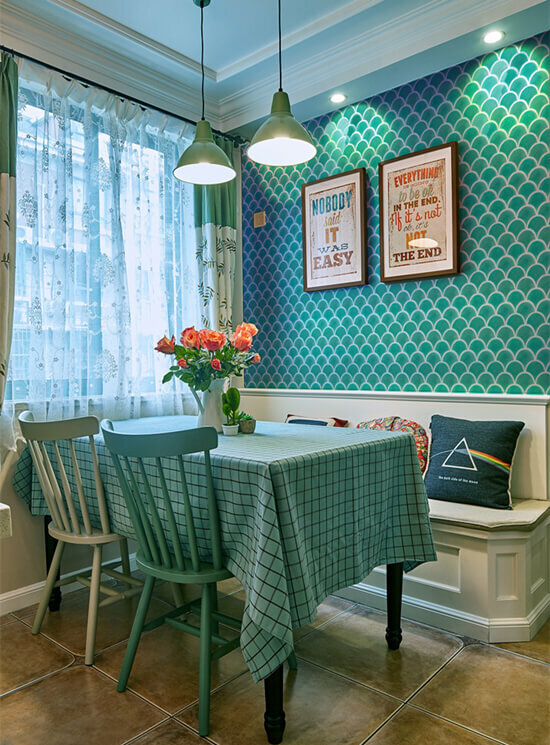 And choose a green grout color closed to the tile if you want a seamless design, or if you want the tile shape become the focus, then use a grout color contrasts the tile. A natural backyard is built by the combo of green shaped tile wall and life-like plants. 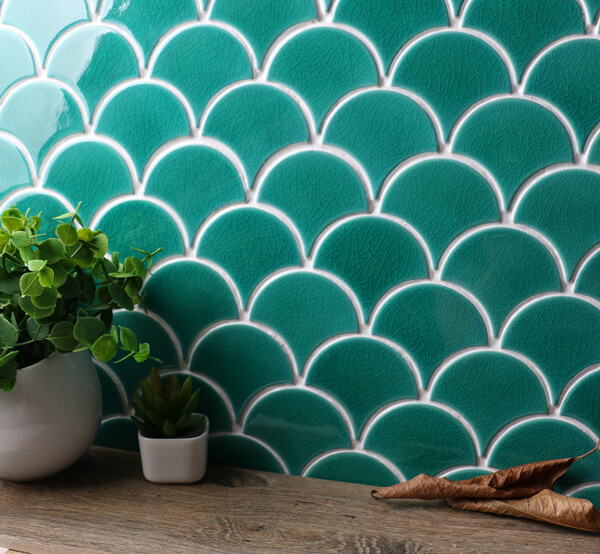 I do love this pastoral style that brings a fresh and relaxing feel, the fish scale tiled wall makes a statement and will draw people’s eyes. 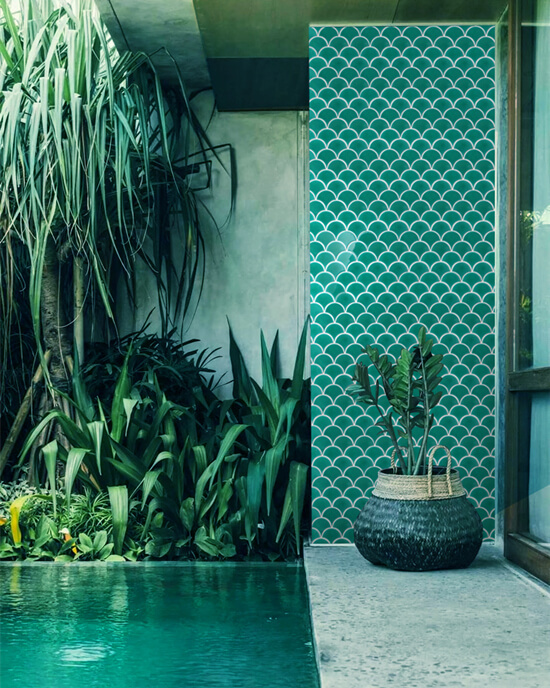 If you have got inspiration from these green swimming pool tiles and in market for it, do not hesitate to contact us for best pricing and more details. 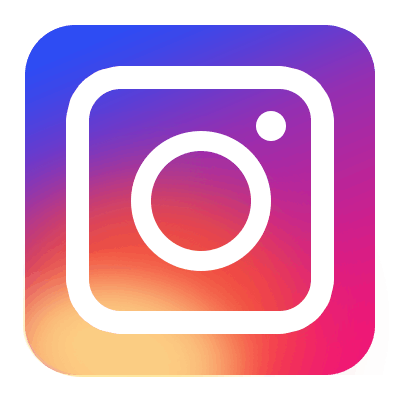 Bluwhale tile is specialized in pool mosaic wholesale tiles for many years, we have estalished long business relationship with wholesaler, distributor, designers and architects, and look forward to cooperate with you.